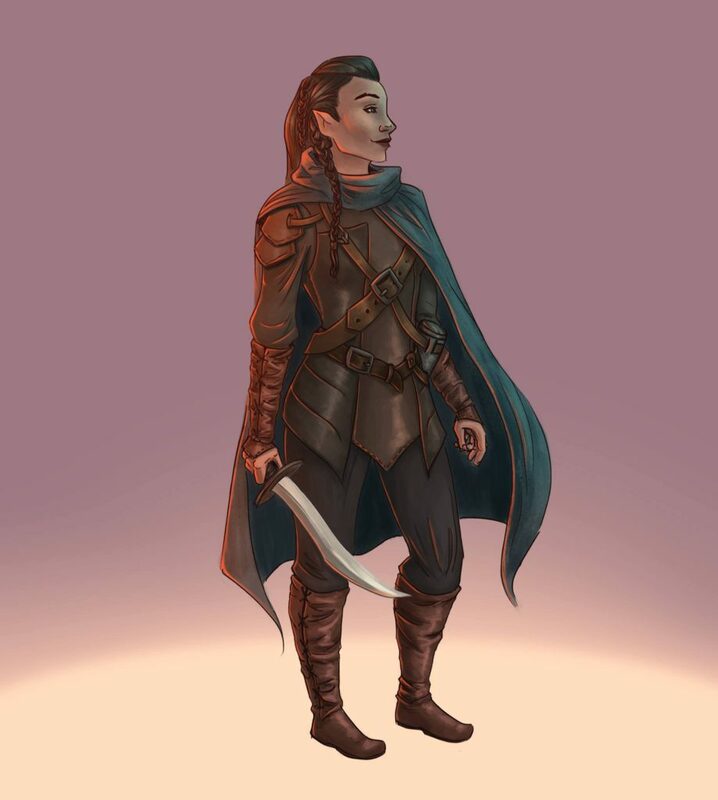 We wanted to take a moment to detail a few changes to the format of the D&D Tournament at PrairieCon this year, and to debut the first of six pieces of character art for the event. This year, you can register for the tournament as an individual or as a team! Teams must be between four and six players; if you don’t have the full six players, then individuals may be added to your team to round out the groups. This means that we will have a winning group rather than a winning individual this year! Furthermore, the tournament will be a two round (4-slot) affair, rather than the traditional three rounds. We will run the tournament once on Saturday and once on Sunday so that you can have a bit more flexibility when working out your gaming schedules for the weekend – winners will be announced at the conclusion of the Sunday games. If you have any questions about the format or rules, feel free to post them here in the comments or PM the page and we will make sure that Craig sees them. We will announce more information and details in the coming weeks, along with previews of more character art by Alyssa Fraser and some sweet custom terrain by Ernie Cameron that will be used in the scenario.